Each mock service contains several of mock responses. 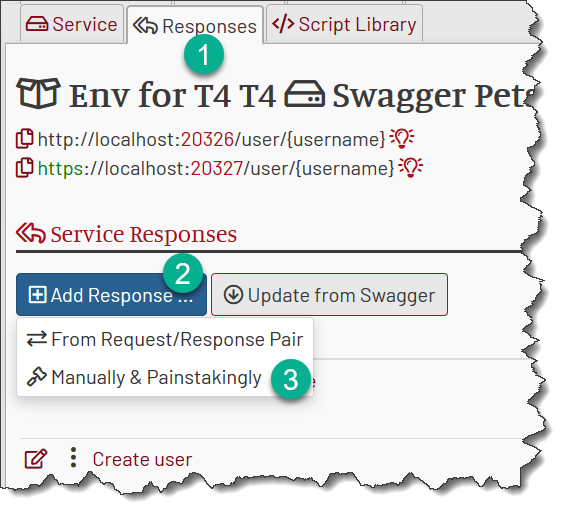 A mock response is a configured reply for a request.A response has a pre-configured payload (often scripted), HTTP status, delay and other properties that the calling application expects to receive to continue the test scenario. In a simplest form, there is one mock response per service operation (SOAP operation or a REST URI+method). In more complex cases there could be multiple responses per operation, one response handling multiple operations or even responses that do not correspond to any specific operation. Responses in a mock service are organised as a list. For each incoming request, each response is tried in turn, starting from the top of the list until one of them matches. If there are no responses left in the list and the match is still not found, MockMotor generates a HTTP 404 response. 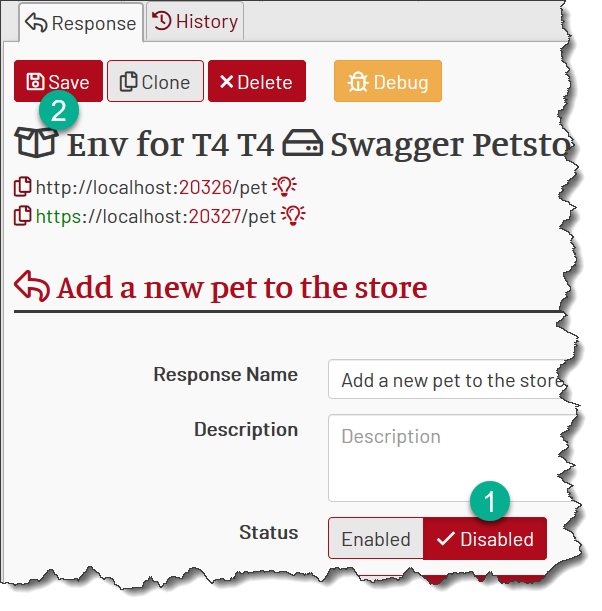 1 First checked for HTTP operation POST and the relative URL /pet. 2 Then either of these conditions fails to match, the request will be checked for HTTP POST and URL /user. As already mentioned, the responses are matched in order of their appearance on the list. 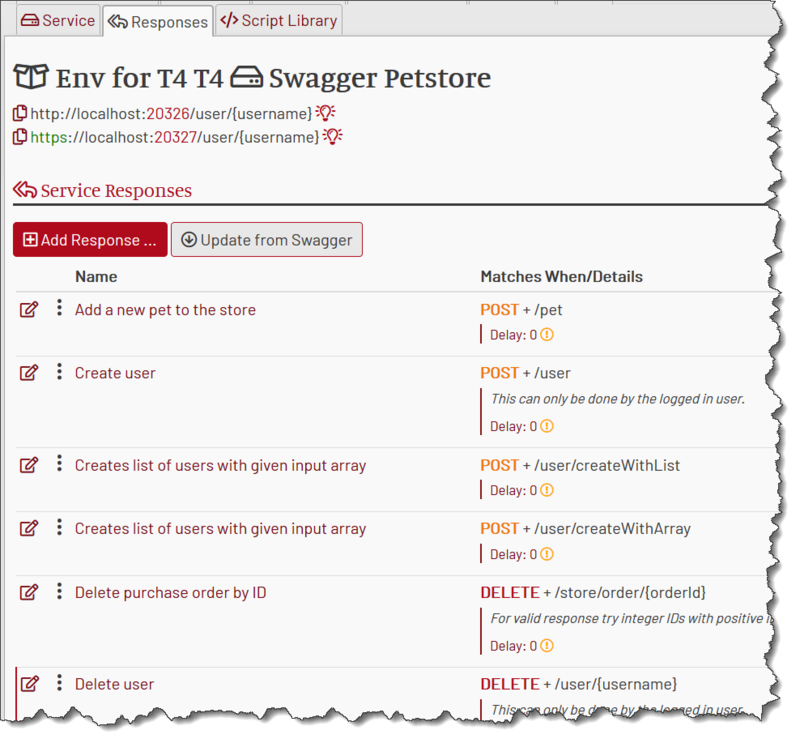 To add a new response, click on provide the required properties. The minimum is the Match Options and Response Payload. When the changes are complete, click “Save”. 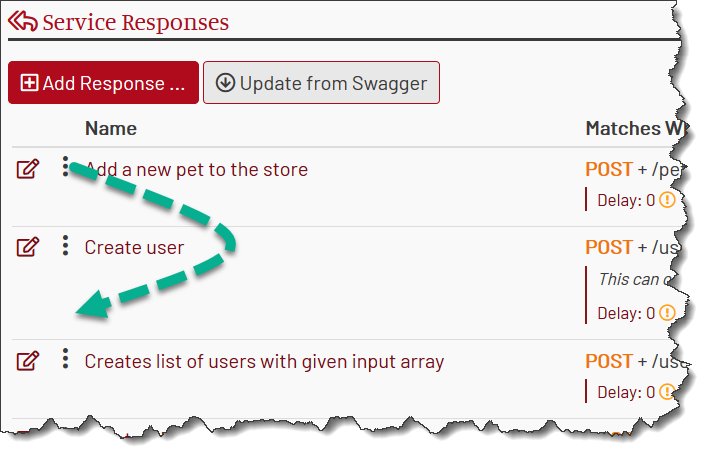 To edit a response, navigate to the Response page by clicking on either the edit icon in the response row or on the response name. To create a copy of an existing response, navigate to the Response page and click “Clone”. Read more details on this here. To delete a response, navigate to the Response page and click “Delete”. You will be asked for a confirmation. Note that this operation is not reversible. A safer alternative to deleting a response is to disable it. Navigate to the Response page and click “Disabled” in the Status line, then click “Save”. The response will be disabled, i.e. ignored by any incoming requests.